Daily Debate: Should the Next Zelda Game Use Breath of the Wild’s Assets? In 1998, Nintendo released Ocarina of Time, which was critically acclaimed as one of the, if not THE, greatest video game of all time. Then, just a year and a half later in 2000, they released Majora’s Mask. As opposed to previous Zelda titles, which have made new assets with each installment, Majora’s Mask was created partially from the assets of Ocarina of Time. 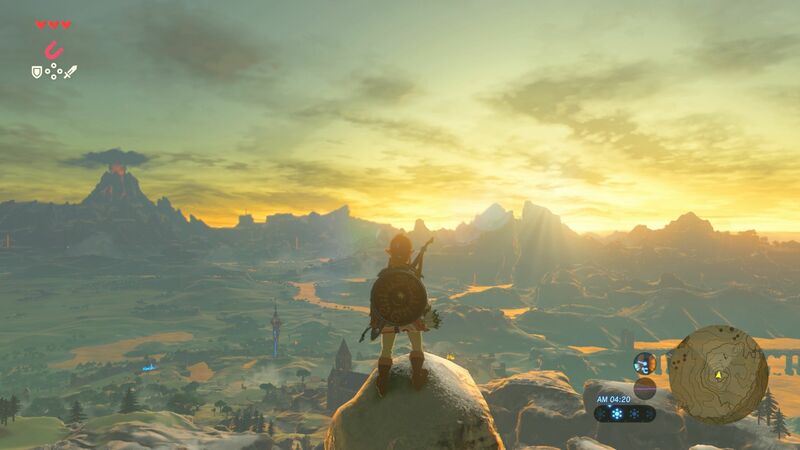 Given the success of The Legend of Zelda: Breath of the Wild as well as the fact that Nintendo has confirmed that they want to keep Breath of the Wild‘s open world nature in future Zelda titles, this begs the question: Should the assets of Breath of the Wild, be used in a future Zelda title and, if so, what assets would you include? For assets, I am not referring to mechanics or story elements but rather character models and items, much like what Majora’s Mask did with the various NPCs and some items. For the purposes of Breath of the Wild, this means that character models (such as the ones used for Link and Zelda), weapons (including bows and shields), items (such as food), and related are all viable. But what do you guys think? Would you like the next Zelda game to use Breath of the Wild‘s assets? What assets would you include? Let us know in the comments below!